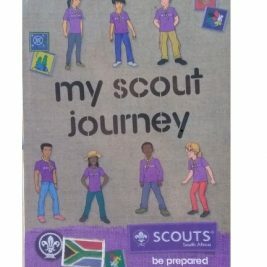 The method of learning Lord Baden Powell introduced to the Scouting Movement is “learning by doing”. For Cubs this means growing whilst playing. 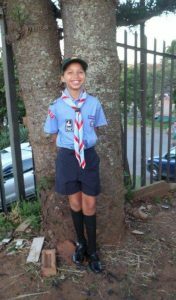 We spoke to Tamryn Goslett (9) from 58th Durban Cub Pack in KwaZulu-Natal who embraces the Cubbing method. We do fun activities and we learn new things while we are playing. My best experiences are camps because they are very nice! The weirdest thing I ate outdoors was meat because we struggled to cook it properly. My toughest challenge was learning how to tie all the different knots. Once we went to visit the Botanical Garden at night. That was amazing! By being a Cub I have learnt how to work as a team, how to tie knots and how to braai meat on a fire. SSA: What did you teach your parents that you learned at Cubs? I taught my dad how to make a foil cup. A good Akela must be helpful, friendly and easy to talk to! My Akela is special because she helps us and cares for us. Cubbing Rocks because … we do fun activities and it is nice.